Feeling a bit two-faced today. Hurrah! 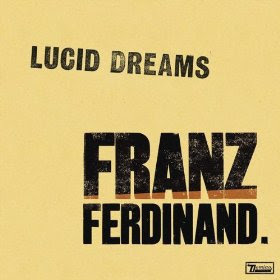 Let's 'rate it' -- there's a new Franz Ferdinand single release finally! Boo! Let's kinda 'hate it' -- after that slow burn of a wait, I'm not convinced that I like it. It doesn't charm like 'Take Me Out' or 'Do You Want To'. I can't make my mind up.